Here we are at Thanda Game Reserve to go on a Safari. 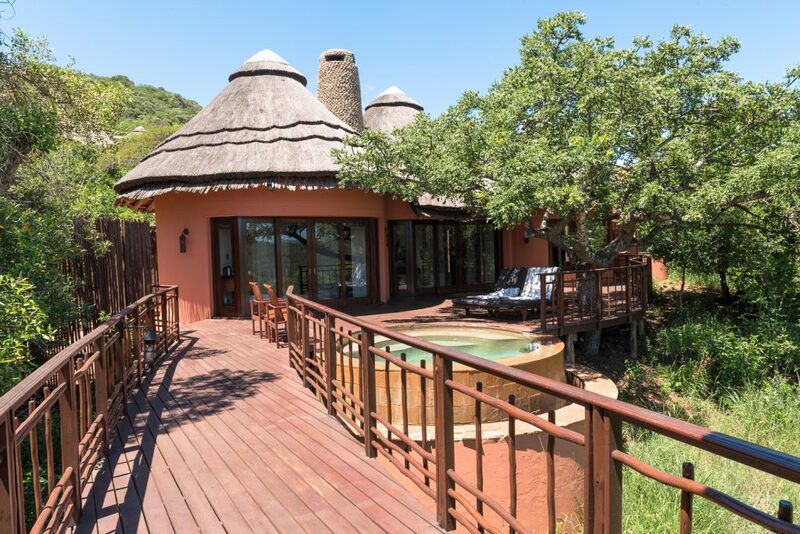 Thanda is our “base camp” in the same way the Ritz-Carlton is a base camp. The place is just spectacular. (See the photo below of our villa). After we arrived we got settled in and went for our first game drive, lasting from 4:30 until 7:30 PM. 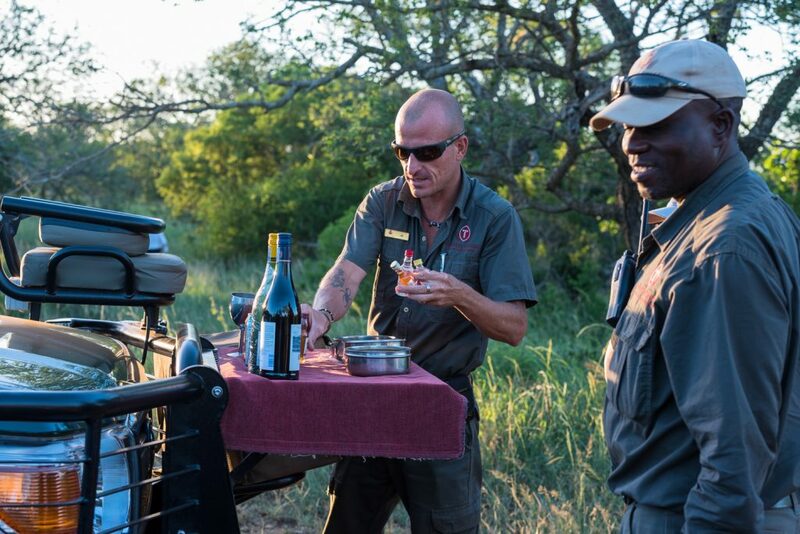 The drive consists of boarding an open jeep that holds 9 plus a driver and tracker, and then heading out to the African bush in search of lions, elephants, hyenas, cheetahs, buffalo, rhinos, hippos and whatever else materializes. We were not disappointed. 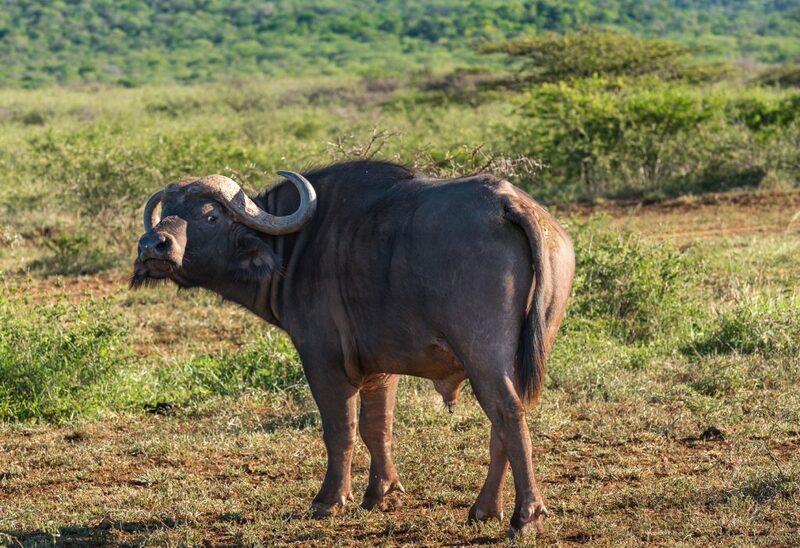 It wasn’t too long before we saw some buffaloes, gazelles, a giraffe and a wildebeest or two. Most important, we discovered sundowners. 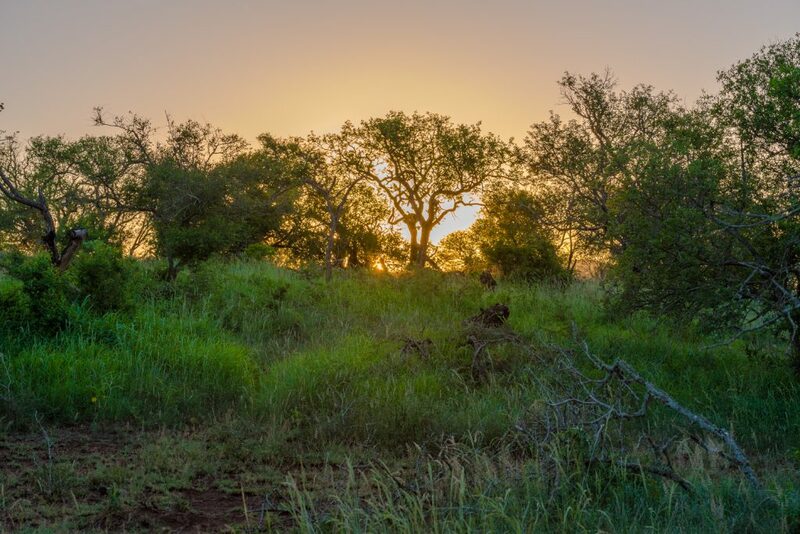 As the sun begins to set, around 6:00 PM or so, it’s time to stop the jeep, pile out, look out over the African plains and have a glass of wine or a gin and tonic before venturing out into the bush again. If you are going to be devoured by a hungry lion, you might as well be fortified by a G&T, I suppose. Anyway, this is just a very brief hint of how spectacular a Safari can be. More in the coming days. Some photos of a small sample of the animals and scenery we saw on the first of many game drives below. 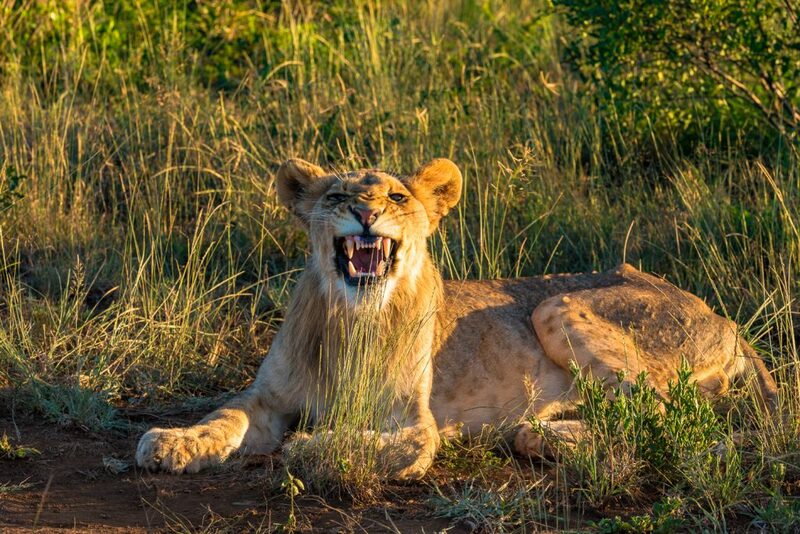 Lioness opens her mouth and shows her teeth. Taken from about 15 yards away. 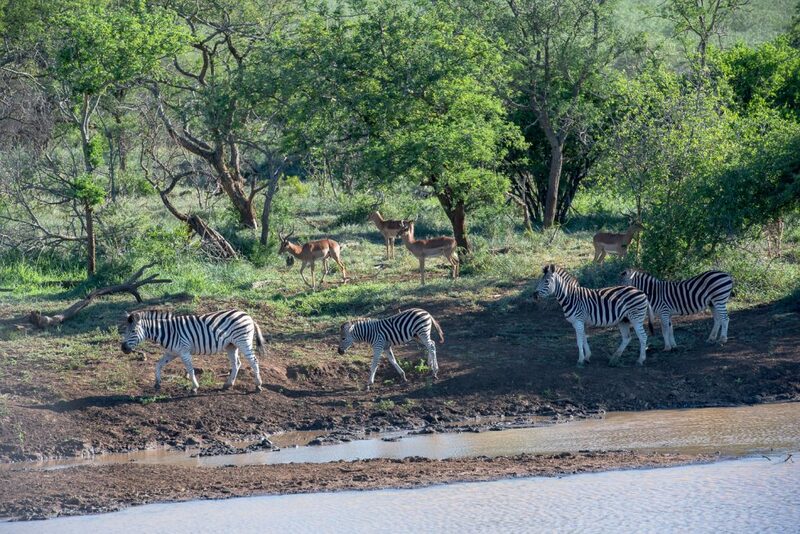 Zebras and Gazelles by a watering hole. Is this what they mean by “Glamping”?